A couple of weeks ago, London-based AI marketing firm Phrasee secured $4 million in funding to bring its platform to an American audience. AI that writes better performing marketing language than humans. Back in July, Alibaba’s digital marketing arm Alimama released an AI-enabled copywriting tool, which it claims can write 20,000 words of Turing test-conquering copy every second. Guess I’ll get my coat then. But wait! Before you sling me jobless and destitute onto the streets of High Holborn, let’s explore this a little bit further. For the sake of my job, my career and my dignity, here are some questions I have about AI-powered creativity. Will AI ever replicate emotion? The ability to make your audience feel something is critical to any creative campaign. A 2016 Nielsen study found fast-moving consumer goods adverts that create a strong emotional response result in 23% higher-than-average sales, while those that create a weaker emotional response result in 16% lower-than-average. But the jury is still out on whether AI will ever truly be able to replicate human emotion in a consistent way. And you only have to look as far as the Oxford Dictionary to see why. If you think of knowledge and skills as data within the brain, straight away that sounds like something a computer could replicate. Distinguished from reasoning or knowledge is the key here. As in: we can’t explain it. There’s not always a rational cause. We just feel it. Is intelligent the same as clever? One of my favourite ever ad campaigns is one Leo Burnett did for Swiss Life. Inspired by the tagline, ‘For all life’s twists and turns’, the ads feature sentences that change meaning halfway through. The copy grabs your attention, makes you think and then makes you really, really wish you thought of it first. 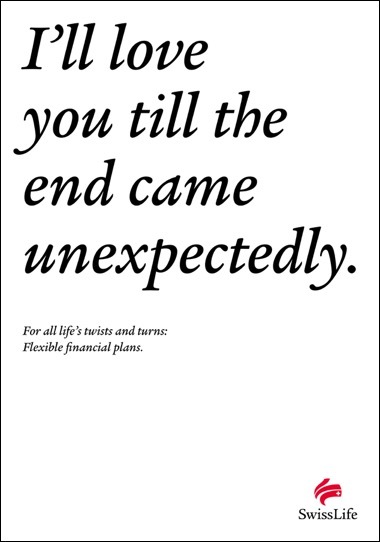 But the message is also clearly linked to the benefit Swiss Life is selling: flexible finance plans in case life throws you a sack of lemons. You can put all the data you want into an AI to make it intelligent, but will it ever be that clever? I don’t think so. And probably neither will I. Will there ever be artificial gut instinct? At the risk of shattering the illusion that every successful creative idea is born from some sophisticated thought process, quite often they just…happen. You just know something is right, even if you can’t explain why in any scientific way. And that’s true whether you’re the one coming up with the ideas or the one judging their worthiness. We might try to explain it anyway, perhaps grounding it in more facts and figures to reassure ourselves that it is indeed the right path. But why did we come up with that idea in the first place? And here’s the thing: machines and software can’t do feelings. At least not yet. So will they ever be able to replicate the kind of thinking that spawned campaigns like Apple’s grammatically questionable ‘Think Different’? Would an AI ignore the ‘correct’ way to write because it felt like the right thing to do? Total cop-out of a closing section, I know. What I’m trying to say is: platforms like Phrasee undoubtedly do an awesome job of helping human beings do creative things, e.g. analysing subject lines to see what kind of language is likely make your target audience open an email. 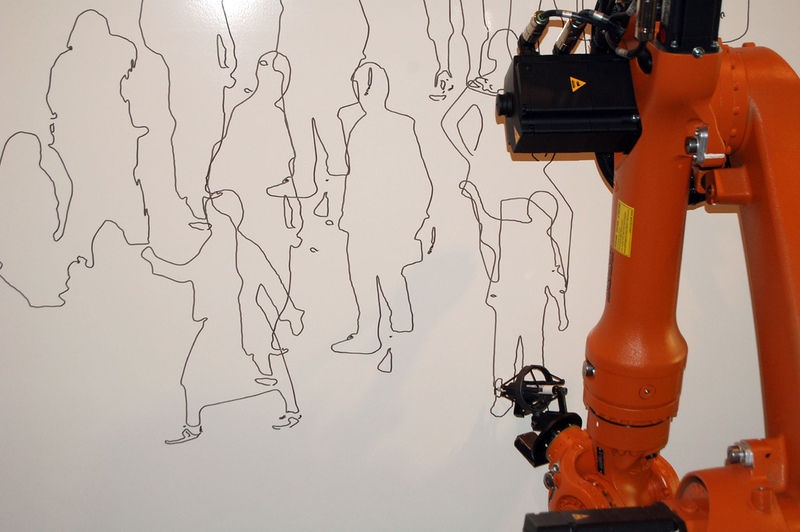 But AI replacing human creatives altogether is not going to happen any time soon. If ever. And if you don’t believe me, look what happened when an AI tried to write Harry Potter. Can I keep my job now?